Get 30X Total CT Money when you pay with your Triangle credit card. 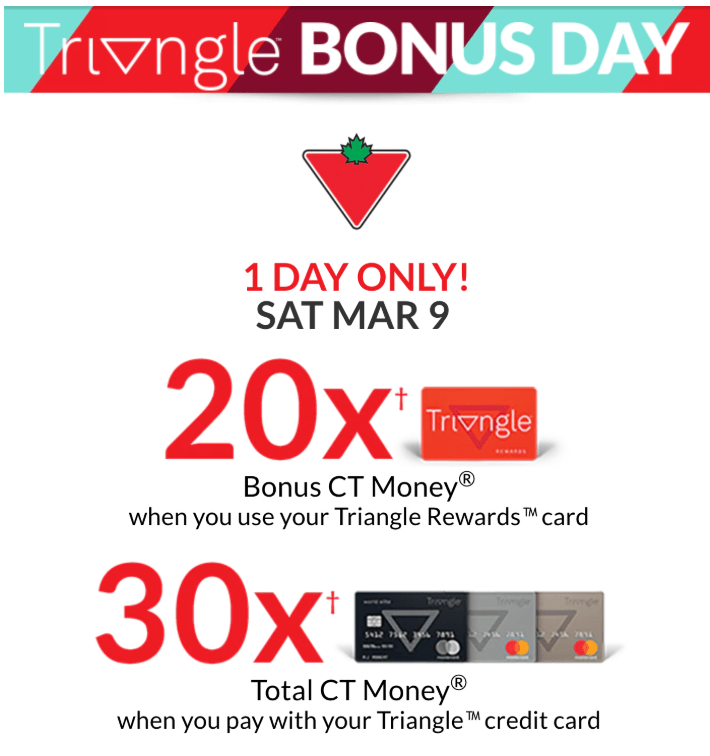 The Triangle Bonus Day is valid for 1 Day only, today, March 9, 2019. This offer is valid online and in-store. It’s a great time to stock up on spring cleaning supplies, outdoor items or whatever else you may need.